Download our customer engagement research report now! This report assesses the views of marketing & customer engagement leaders across all major industries on the changes that they will face in the next 12 months. We took a closer look at the trends, challenges and investments that are shaping strategies and examine the way customer data can improve experience in the shape of a single customer view. 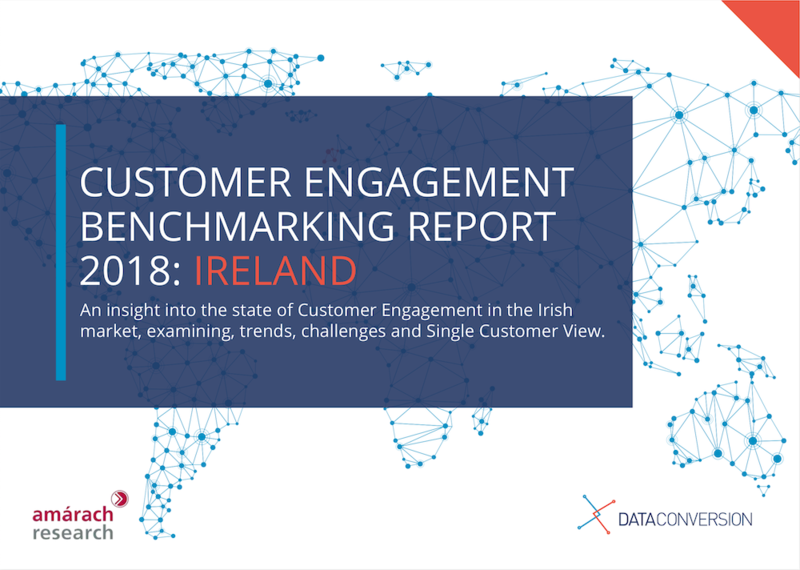 The aim of this report is to enable Irish companies to benchmark against their peers in order to achieve better success for their future customer engagement activities. We hope that you will find this report to be a valuable tool that enables you to spot opportunities within your market. To access the report simply fill out the form, hit “send” and check your email! *Don't worry we won’t add you to a newsletter list, but we will follow up with you to answer any queries you may have on the report. To access the report simply fill out the form, hit ‘get the report’ and check your email!